Children sometimes hard to live the arrival of a baby in the family. They may feel jealous, neglected or supplanted by newcomer seeing their father or mother to devote much time to the newborn. They come to adopt their very childhood behaviors to attract attention. 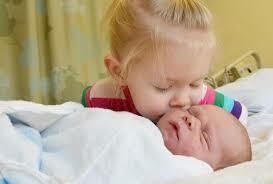 Children from 1 year to 3 years is one that may be the most jealous of a little brother or little sister. It’s hard to agree to share the attention of his parents. It can move very quickly from a state of great excitement or pride to jealousy, sadness or resentment. It is hoped that the newborn is brought to the hospital; it may even hurt him accidentally. Sometimes he tries to attract attention by adopting a child behavior, such as no longer own or asking to be bottle fed. 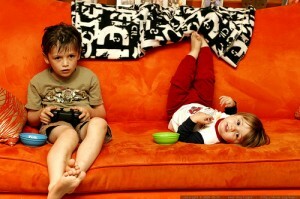 The older child’s risk of jealousy to hurt his little brother or little sister. If you think this can happen, never leave them alone together. The elder may express his feelings of jealousy in a somewhat more subtle. It can, for example, tighten tightly in his arms his little brother or sister, or wrongly accuse certain things. It can also take the role of big brother or big sister so seriously that he tends to do too much. For example, he shows possessive of the toddler. The jealousy of the elder may appear or reappear when the baby reaches a new stage of his life: for example, when learning to walk and it starts to interrupt his game, breaking his toys, the scatter, to share with friends or when he learns to speak and becomes capable of challenging his big brother or big sister. Here are some ways to reassure your elder and make her feel that you love as much as before the baby is born. Let your child that it is normal that it does not always feel the love for the newborn. Let him express feelings of sadness or anger, but encourage them to cooperate and behave like an attentive senior. Read him stories about families who come to welcome a baby, and talk all the feelings that this birth awakens him. Tell him that you love him as much as before and as far as the new baby. Give your eldest special responsibilities for he feels that he has a role to play. Let him bring the baby, but make sure it does carefully, in a way that does not involve risks. Bring her a doll with clothes and a bottle so he could mimic you when you take care of your baby. Point out its new role as a big brother or as big sister, and the importance that this has. Tell others before your elder, how it helps you take care of the newborn. However, do not just compliment about it. Read books together. Involve the whole household to this activity. Let everyone choose his favorite book and select one for the baby. If your older child is already learning to read, let him read aloud what he can. Try to spend time with your elder, head to head. Make sure you will not be interrupted. Talk together, cuddle, take part in his favorite activity … Remember that the most important thing is not to devote a lot of time, but to go with him quality time, where you are entirely to him drop off window. Your partner can spend more time with your older now that your newborn consumes you. This could be also your parents or other family members. The important thing is that your elder from feeling neither isolated nor rejected. This entry was posted in Parenting and tagged arrives, baby, jealousy, prevent.